Updated 6:25 p.m. | Posted 11:40 a.m. 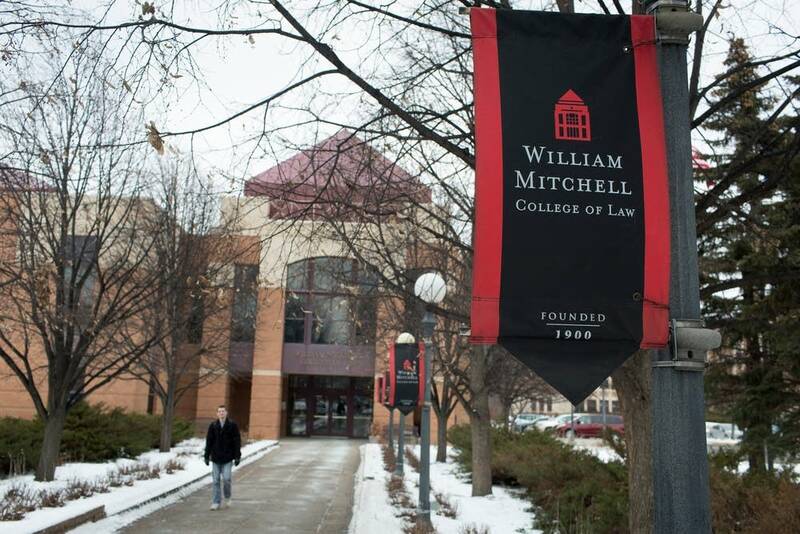 Faced with stiff competition and declining law school enrollment, Hamline University and William Mitchell College of Law said Friday they will merge law programs. The combined school will be named Mitchell|Hamline School of Law and be headquartered at William Mitchell's St. Paul campus, the schools said in a statement. They will continue to operate separately until the merger is approved by the American Bar Association. Negotiations to combine the schools have been in the works for months, William Mitchell Dean Eric Janus said in an email to alumni. The merged school will include faculty, staff and programs from William Mitchell and Hamline, although officials did not provide details immediately on staff size or programs. Jean Holloway, dean of Hamline's law school, said the two are combining because their missions are a good fit and will help provide stronger offerings to students. "Certainly given the legal education market we can do it better than we can do it alone, Holloway said. Officials from both schools say the new Mitchel|Hamline will provide law students with several options to get a JD, from full-time and part-time programs, to weekend and online offerings. 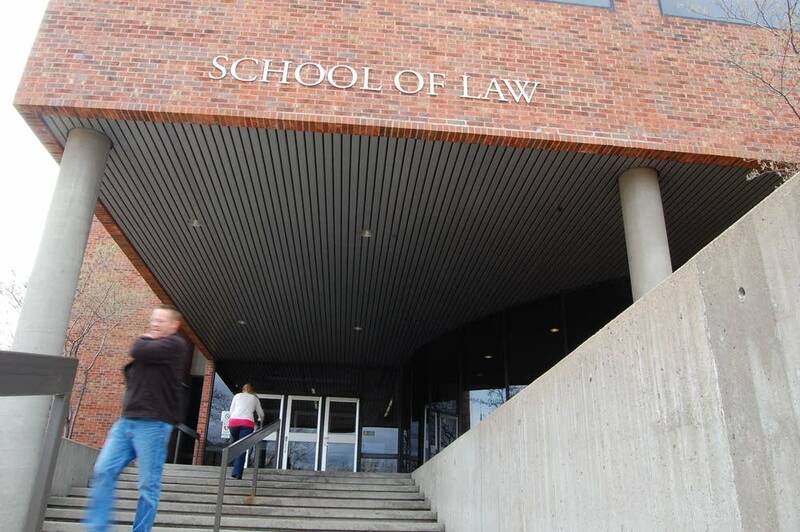 The move comes as law school enrollment across the country slides. First year law school enrollment in the United States is down nearly 30 percent from its 2010 high and at its lowest point since 1973, according to the American Bar Association. Nearly two-thirds of ABA law schools last fall reported declines in first-year enrollment from the prior year. Hamline's 2014 entering class was 90 students, making it one of only 25 law schools in the country with entering classes of fewer than 100 students, according to ABA data. With four law schools in the Twin Cities, competition for students has been particularly fierce for years. While demand seemed limitless when the University of St. Thomas reopened its law school in 1999, joining Hamline, William Mitchell and the University of Minnesota, observers have long speculated that the region simply could not sustain four law schools. The president of the Minnesota State Bar Association, Richard Kyle, calls the combination a bold move. "The landscape for legal education has changed significantly since the great recession," Kyle said. "So it stands to reason that law schools are looking for innovative ways to adapt." Kyle said businesses reduced their legal costs during the recession, and that means legal jobs have been slow to return, but he expects a strengthening job market for law grads in the future. Law schools across the country are likely paying attention to the Hamline-William Mitchell move. "They're going to have to face these sorts of decisions," said Kyle McEntee, executive director of Law School Transparency. "Can they survive? If it's a central university, do we want to keep supporting these law schools? And does it jive with our overall mission and can we keep them afloat while maintaining the rest of the university mission?" Officials from both schools say job cuts are needed to accommodate the merger, but they hope to handle those mostly through voluntary attrition. A 2013 Wall Street Journal story on shrinking enrollments and faculty at American law schools noted that Hamline's number of full-time faculty dropped considerably as the school offered early retirement incentives. It quoted then-Hamline dean Don Lewis as saying the regional law school felt the "tsunami effect" of declining law school enrollments nationwide. The Hamline law school traces its roots to the Midwestern School of Law, an unaccredited program that needed classroom space in 1974. In 1980, the school won full ABA accreditation and that fall was dedicated as Hamline School of Law, with U.S. Supreme Court Justice Harry Blackmun, who grew up in St. Paul, delivering the dedication address. In their statement Friday, the schools said the president and dean of the combined law school will be Mark C. Gordon, the man William Mitchell recently named as its new dean. Gordon is currently president of Defiance College in Defiance, Ohio and a prior dean of the University of Detroit Mercy School of Law. He starts in St. Paul on July 1. The schools did not say if current Hamline law school dean Jean Holloway has a future with the merged institution.